As if the VW scandal weren’t bad enough, German car makers are being rocked by a second indignity, the intrusion of Lexus into BMW’s home turf: the obnoxious one-percenter. It’s easy to see why BMW was complacent. Not long ago, I was honked at twice within a few hours by over-aggressive BMW drivers. But Lexus is catching up. I took this picture this morning at my gym. The car occupied two spaces right out front, precisely where an elderly person might have wanted to park going to the cardiac rehab class. BMW marketing folk must be freaking out at pictures like this. It’s a sad decline of brand loyalty in a critical market segment. 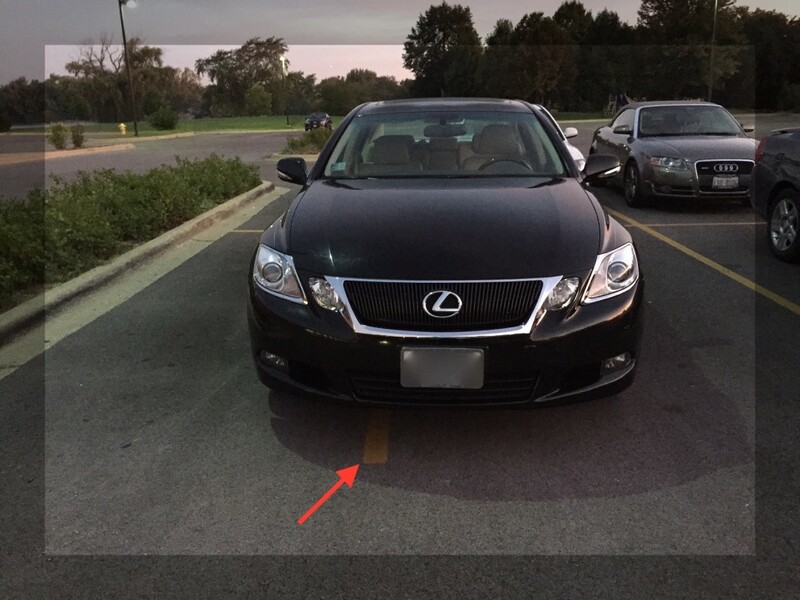 Perhaps the Lexus driver was simply claiming equal treatment with drivers of Chevrolet Suburbans, Hummers and dump trucks that simply don't fit in a standard parking space. Th big argument for driverless cars is that humans are demonstrably hopeless at the job. This isn't incompetence, it's assholery, pure and simple, wanting to have enough space away from neighboring cars that the precious won't be scratched or dented. When i see someone parked like this I'm sorely tempted to run my key along the side in a long arc, but i restrain myself. I spent seven years running parking ramps in downtown Minneapolis, so I have lots and lots of experience parking cars in tight spaces. At times during my long stretch of unemployment, I considered standing on street corners with a sign reading, "Will parallel park for food." The freedom one obtains when one’s thirteen year old beater once bought new has depreciated all the way to imminent replaceability as it achieves the “I don’t give a f&ck if you hit me you’re not passing me on the right in the parking lane, $ssh*l*, and I will drift over gently to the right one precious foot if you start trying to inch your way past me in the phantom lane between the parked cars and my passenger door that only exists because the single carriageway is a bit generous with the width” status.